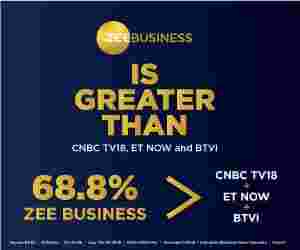 Anil Gupta, Chairman & Managing Director, KEI Industries, in an exclusive interview with Zee Business, said that technical collaboration with a Swiss Company, Pro Cable, has helped it to increase the voltage range in their cables to 400KV. Q: KEI industries has completed 50 years of its journey. How will you sum-up this journey? A: It has been a very difficult journey. I joined the industry at the very young age of 20 years as a very small business. We started our journey in a factory spread in an area of just 4,000 square metres and used it for production purposes especially of appliance wires and one or two pairs of telecommunication cables. In the next five years, we moved to production of railway cables, control cables and small power cables and then slowly by 1991-92, we moved to production of low tension (LT) power cables. Meanwhile, we also tried our hands in non-ferrous metal alloy business, which performed well for some time and then gradually slowed. The non-ferrous alloy business went down with the introduction of some high-value-added products in which we started using some import substitutions like synthetic fibres. But our main focus always remained on cables, mainly power cables and in the process, we strengthened our capabilities in power cables in almost every factory that we have. In 2005, we stepped into the production of medium voltage cables like 11KV, 22KV and 33KV cables, which remains our mainstream product till date. Later in 2010, we decided to increase the voltage range in our cables and we added voltage ranges of 66KV, 132KV and 220 KV in our product segment. For this purpose, we entered into a technical collaboration with a Swiss company Pro Cable and used their technical and marketing assistance to open our project in Chopanki, Rajasthan. This is the mainstream product of our company, today. In fact, we have used their technical assistance to enter into the voltage range of 400KV. ROW issues have led to the replacement of overhead transmission in many cities and areas with underground cables, at present. Q: Do you see any opportunity related to infrastructural changes including underground cabling mainly in rural areas? A: We also tapped the opportunities available in rural areas. In the process, we have executed several turnkey projects related to rural electrification and distribution. We executed several projects in two government schemes, namely (Restructured Accelerated Power Development and Reforms Programme(R-APDRP) and rural electrification scheme also known as Deen Dayal Upadhyaya Gram Jyoti Yojana (DDUGJY) in several towns of Uttar Pradesh and Madhya Pradesh. In the process, we were responsible for erecting electric poles to distribution transformers as well as laying of the aerial bust cables, which was used to reduce AT&C losses. We also went for metering of consumers, which included meters of two types namely below the poverty line meters and above the poverty line meters. In addition, under the overhead to the underground conversion process, in the recent past, we executed and handover a project Rs 400 crore project in Varanasi. Q: At a time, when the face of the electrification process is changing and people are talking about wireless charging, electric vehicles. Let us know about KEI's plans and area of focus for the next 50 years? Do you think that this change will bring a shift in your business model? A: Turnkey projects that we executed in different segments, like distribution, transmission and extra voltage cables, is helping us to move ahead. In addition, we are also eligible to work under the Smart City project of the government as we capabilities as well as qualified requirements and manpower to execute the projects. We have an expertise and required resources for underground cabling, which will be replacing the overhead cables in time to come. When it comes to electric vehicles than I would like to inform we will be participating in the projects related to the infrastructure that will be required for their success. In addition, our company is also supplying cables for solar and wind energy projects. Besides, you would have heard that the government has plans to electrify railways by 2022 than I would like to add that it is our forte and our company also has an expertise in developing sub-stations under the turnkey projects as well as overhead electrification with traction sub-stations for railways. Interestingly, we are executing certain projects in the domain. Q: What are going to be the growth drivers in the future in terms of revenue? A: Supplies of cables within and outside India, power integration through cables and export of cables and wires are going to be the three major growth drivers for us. Power integration means turnkey projects in supplying, laying and erection of cables in distribution and transmission side of the power. For supplies, we have been using two methods and they are direct sales to the institutions and also through the retail network that we have with us. In terms of exports, we are exporting our wires and cables to nearly 24-25 countries. In fact, we export nearly 15 per cent of our total production. These three are the major forte of our business and of which 30 per cent constitutes to be turnkey projects and the remaining 70 per cent will be related to supply of the cables. Q: Do you think that the depreciating value of Rupee, which has reached a mark of about 73 against the dollar, will have an impact on your business or it will get neutralised due to exports? A: The challenge related to exchange rates is a temporary phenomenon and in the process, you will have to calculate the prices of the product on the basis of the exchange rate of the day when it was sold. In our case, we have created a natural hedge under which we nullify the imports through exports with no hope of any gain or loss. In the domestic market, we will have to compete with those companies who are operating under the same exchange rate. Q: Copper has led to an increase in input costs and the same is happening with other metals too. What is your view on it and how will you deal with it? Is the price hike is a solution to the problem? A: Pricing related to copper or aluminium or any other raw material is passed directly to the customer. In fact, we keep raw material covered for the existing contracts. The pricing for the future contracts is decided on the basis of existing pricing levels as well as the perception. This practice has helped us in protecting our EBITDA margin and we don't play with the commodity. Q: Crude prices are going up. Do you think that the crude prices will have an impact on your business? A: We are not into refining, we just supply cables to oil refineries and thus our product is a CAPEX expenditure over there and thus CAPEX will not have any impact on our business. In fact, the oil export countries are bringing new CAPEX and refineries as they have enough capital to increase their capacity. Q: Your company gave a phenomenal performance in FY 2018. Do you think that this trend of growth is here to stay or is going to be better? A: We have projected a growth of 18-20 per cent in terms of growth volume in FY 2019 and I think this is not a small growth number that we are targeting as you can't achieve a growth of 25 per cent year-on-year. Maintaining the growth numbers turns up to be a challenge when your base reaches to a mark. In fact, we just want to maintain margin on profitability instead of chasing numbers. Q: It is a great strategy of maintaining margin on profitability. But do you think that it can improve and have any strategy for that, like entering into high margin products or entering countries or segments that can provide you with a better margin? A: I feel that there will be a margin improvement of 1 to 2 per cent in next one to two years and this growth will be supported by the growth in retail segment and brand building exercises. In addition, the increase in exports will also be contributing to this growth.